Scott Point, Archer Mountain - 2012/02/26 - Chiyoko & Guy's Photo Site. 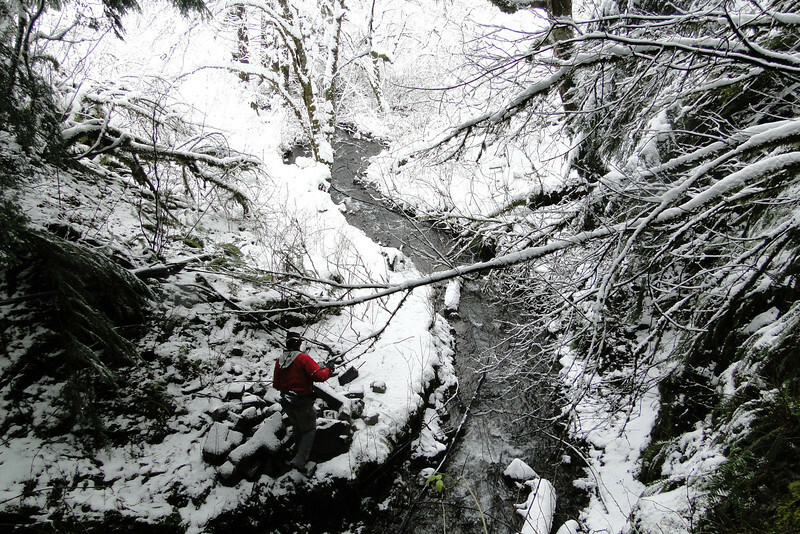 Sunday 02/26/12 we set out with Jim, Don & Ardith from Duncan Creek to Archer Mountain. Our goal was a recently discovered new view point on the East Side of Archer Falls that Jim was going to show us the way to, unofficially named Scott Point here. Setting out at 1000' from Duncan Creek & climbing up to 1800' we thought we might see an inch or two of snow but not the 8" or so that we ended up hiking through!